Intriguing, creative, thought provoking are words that may define this book. But it is its spirit that draws you back again and again. 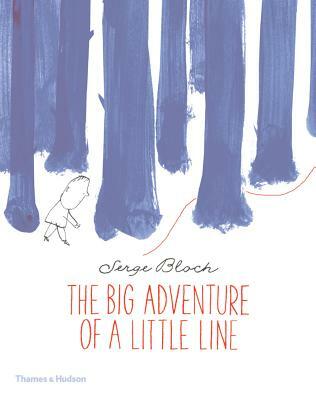 Enter the magical, creative world of the renowned French artist, Serge Bloch, where anything can happen, and the discovery of an ordinary little line can result in the most marvelous adventure. Coming to life, the little line becomes majestic mountains, wings to fly with, a circus full of animals, flowers, a perilous tightrope, and that's only the beginning With this classic story about an artist's becoming, children will be inspired to create their own drawings, taking simple lines and transforming them into endless possibilities.